The health care system in the Netherlands is private, meaning you pay a fixed amount every month for it, depending on the health care plan you have chosen. Health care is well developed and to a high standard. The Dutch word for family doctor or GP is huisarts – which literally translates into ‘house doctor’. The best place to start looking for a huisarts or tandarts (dentist) is in fact in your neighbourhood. You must register in advance with a huisarts, as otherwise you might have difficulty finding someone who can see you on short notice, should you become ill! ZorgWijzer.nl is a comparison site for expats who need a Dutch health insurance provider. Use their English comparison tool to find a suitable and affordable health insurance plan. 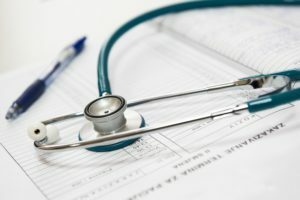 What does the basic health insurance cover? Hospital stays, treatments, consultations, surgery, etc. Prescription drugs are filled at an apotheek (pharmacy). They computerize your prescriptions and keep a close watch on the drugs you are taking in order to avoid drug interaction. Many bill your insurance company directly for the costs of prescription medicine. You will need to register with your local pharmacy to fill prescriptions. Keep in mind that, for your insurer to cover the expenses involved in your visit to the specialist, they will want to see a copy of the referral notice. If you want to see a specialist without referral, this is possible, but it might be more difficult to schedule an appointment and you might need to cover the costs yourself.